Strawberry jam is so yummy. However it is hard to find in the stores without added sugar or some funny ingredients. Does anyone else have a lot of strawberries? I decided to make this jam because we have a ton of strawberries on and because we are going through jam like crazy lately. 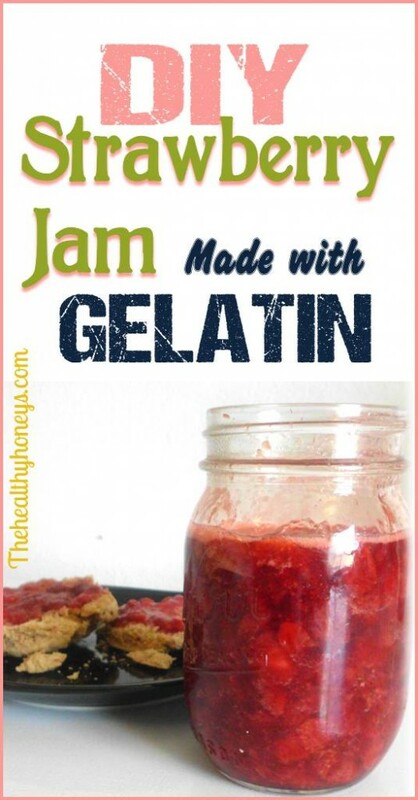 Another plus is you can make jam with gelatin instead of pectin. 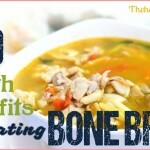 For the benefits of gelatin check out this post. 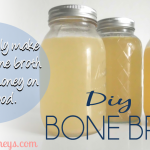 Basically gelatin and bone broth are amazing! 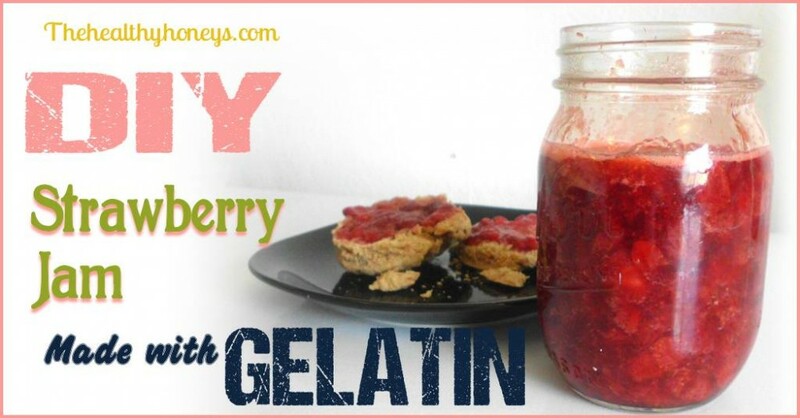 Here is just one more way to get it in your diet easily and have some delicious strawberry jam. It is also super easy to make. This jam would also work with other berries. Just replace the strawberries with your berry of choice: raspberry, blueberry, or blackberry. Cut tops off of strawberries. Slice in half and place in sauce pan. Add honey and lemon juice. Cook on medium heat for 5-10 minutes stirring occasionally. Add vanilla and mash the strawberries to the desired consistency. Remove from heat. Add gelatin and whisk in. Place in jar. Let cool for about 30 minutes. Store in refrigerator for about a week. Or store in freezer. 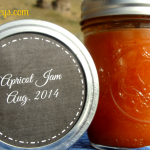 This jam is super fast and easy to make. 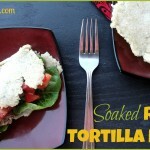 Spread on bread or biscuits and enjoy! Yes! It can just make sure you leave about an inch or so from the top so the expansion doesn’t break the bottle. You can also do without the gelignite if you cook down the sauce a little longer. To test look for a ‘softball’ stage or use a chilled ceramic plate and drop a quarter size blob. If you can run your finger through the middle and it stays separated then it is ready. You and can this as well as freeze. I had some cherries getting ready to go bad. Apparently I bought too many 🙂 so I made this jam. 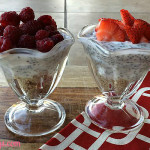 I didn’t want the skins though so I seeded them and then ran them through my Vitamix first. 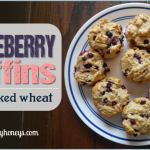 The texture was a little weird in the jar, but that was probably my fault for not using berries, but fine on biscuits. It tasted fantastic!! I will definitely be saving this recipe to use again. Thank you so much!!! It is very difficult, actually impossible to find any jams or jellies in stores that isn’t made with pectin. Being allergic to apples, and most things today using apples as a base makes buying things almost impossible. So thank you got posting this. Can you please tell me how long his takes to firm up? It should be firm once it is cooled. So an hour should be plenty in a pint jar.